No matter where your dog is in the house or even in the garden, the sounds of preparing food in the kitchen will bring him running to you. With such keen hearing, dogs can easily be trained to respond immediately to the relatively mild sound of the clicker, a child’s toy. And with treats involved, dogs don’t need much more encouragement to do what’s asked of them. Clicker training provides a humane and positive method for training your dog in commands important to his socialization and keeping him safe. 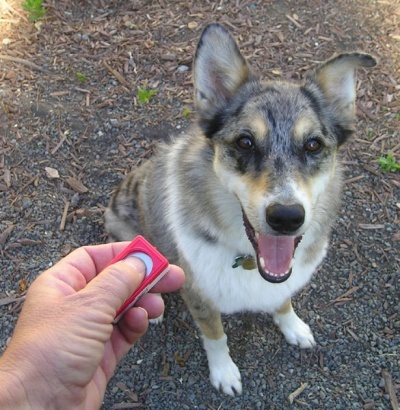 Dogs of any age respond to the clicker which is an easy tool for training. 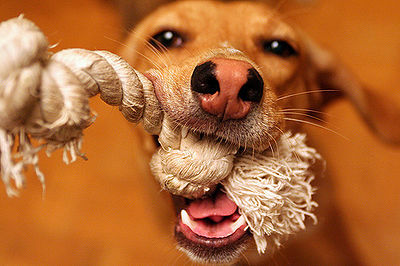 Equipment necessary is very simple – your dog, the clicker and treats. And it’s as easy as clicking immediately when your dog does something you want him to learn. The type of treats used should be something your dog especially loves. They should be very small pieces, about the size of a raisin is recommended. 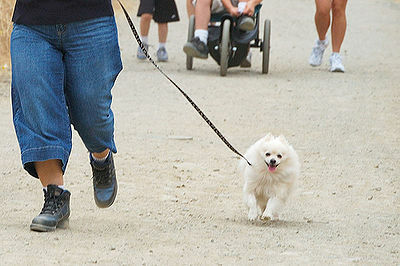 You can give your dog something really special when he masters a particularly difficult exercise. 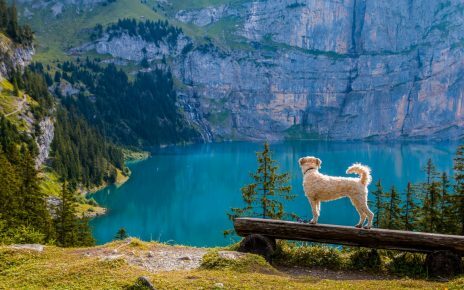 Try training in different locations so that your dog doesn’t associate one area with the training and will perform only in that area. Keep training sessions short, anywhere from 5 to 15 minutes. Your dog will let you know when he’s becoming bored and losing interest. If you are interested in clicker training, I highly recommend the book “Clicking with Your Dog” by Peggy Tillman. Along with her easy to understand illustrations and explanations, Ms. Tillman covers all facets of clicker training and beyond. Who ever believed a child’s toy costing pennies would become such a fun training tool.